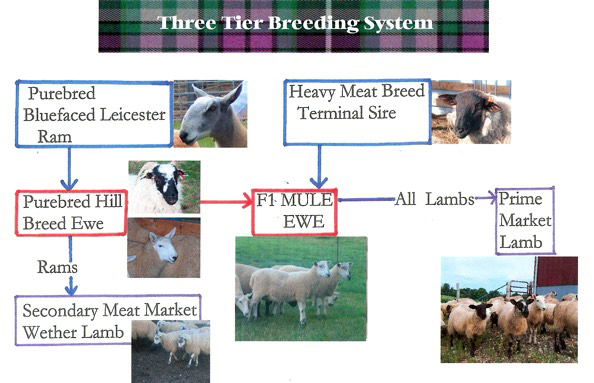 The stratified UK breeding system is based on adding the breeding values of hardy purebred Hill Sheep Ewes by crossing them with Bluefaced Leicester, Border Leicester and North Country Cheviot Rams. These produce the Scotch Mule, The English Half-Bred or Greyface, and Cheviot Mule. By far the most popular commercial Maternal Ewe is the Scotch Mule - SBF x BFL. There are various other combinations but these are the most prevalent. 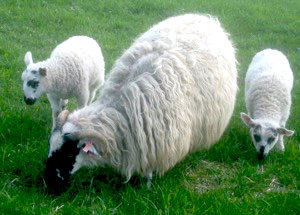 Sheep breeding in recent years has been more directed towards the prolificacy of the ewe and ensuring that the carcass of the lamb has minimum fat and bone. Within a given breed the number of lambs born is of low inheritability, meaning, differences are not genetic but mainly environmental and management. Selection for prolificacy is likely to have minimal effect, since earlier generations of sheep breeders have already raised fertility as high as practically possible. Cross breeding to produce Hybrid maternal ewes is far more successful because genetic factors add to the cross traits of hardiness, prolificacy, and carcass quality. These F1 Hybrid maternal ewes are derived from crossing two purebred breeds, which is not the same as breeding crosses with crosses. 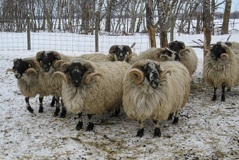 Therefore the types of purebred ewes available is fixed and mostly older (4 years +) draft hill breeds are used. 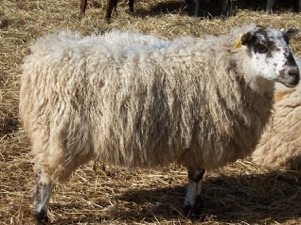 Although over time various changes in purebreds have been made; for example: Swaledale bloodlines into SBF.